LAHORE – Justice Muhammad Anwaarul Haq took oath as the acting Chief Justice (CJ) of Lahore High Court (LHC) on Monday. 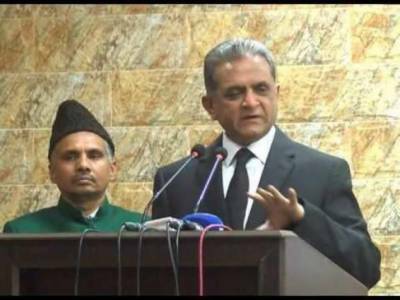 Justice Sardar Muhammad Shamim Khan administered the oath to the acting Chief Justice in a ceremony held at the LHC judges lounge. LHC judges, officials, law officers and a number of lawyers attended the ceremony. LHC Judges and court officials congratulated Justice Muhammad Anwaarul Haq on holding the office.